Por fin la espera ha terminado. Por fin fui a Ouna’s Closet a buscar a mis bebés. La última vez que fui a Ouna’s además de comprar los dos tops, dejé en lay away dos carteras: una cartera Fendi “vintage” y una réplica “vintage” de la cartera “Kelly” de Hermès. Ni parece una réplica porque el material se siente que es de muy buena calidad. Ahora una breve historia acerca de Hermès. Hermès es una casa de modas francesa establecida en 1837. El fuerte de Hermès son sus carteras y maletas hechas de materiales exóticos y caros. Los artesanos solamente pueden trabajar en una cartera a la vez y el proceso se tarda de 18 a 24 horas. La cartera “Kelly” fue introducida en 1930 pero no fue llamada así hasta 1956 cuando la actriz (y princesa) Grace Kelly fue fotografiada por primera vez con ella. Kelly usaba la cartera para esconder su embarazo de los medios. Las carteras más populares (además de la “Kelly”) son la cartera “Birkin” (la más popular con lista de espera de hasta 6 años) y la cartera “Constance” popularizada por Jackie O.
Estoy súper emocionada con mis nuevas adquicisiones y recuerda que si te gusta lo “vintage” con mucha calidad y a buen precio, Ouna’s Closet es lo que estas buscando. Sígueme en Twitter o dale Like a la página de Pink Wedges en Facebook. Si eres demasiado de vago(a) como para ir de una página a otra puedes ir a la página de Pink Wedges en Flavors.me . Finally, the wait is over. I finally went to Ouna’s Closet to get my babies. Last time I went to Ouna’s, I bought the two tops covered in “Raiding Ouna’s Closet” but I also separated two handbags: a vintage Fendi crossbody bag and a vintage replica of a Hermès “Kelly” bag. 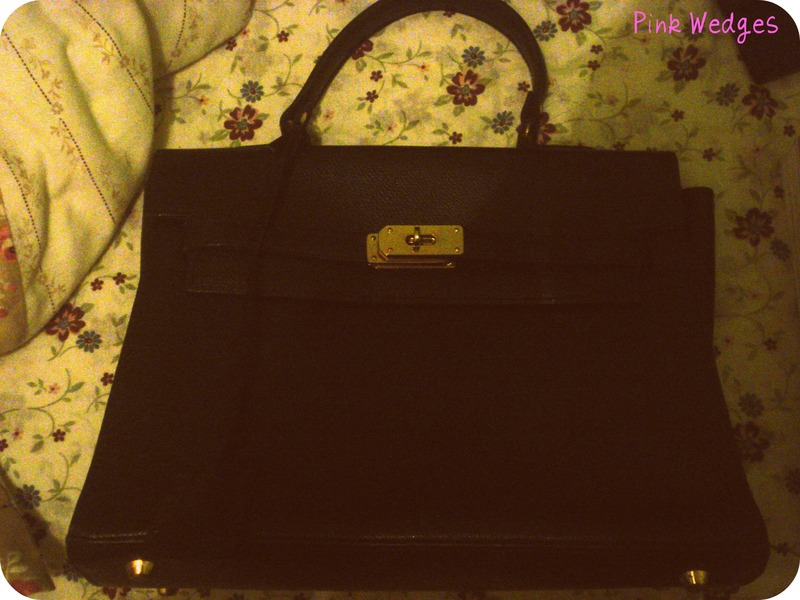 It doesn’t even look like a replica because the quality of the bag is sooo much better than the “Chinatown” bags. Now a little history lesson about Hermès. Hermès is a French fashion house that was established in 1837. Hermès is mostly known for their luggage and handbags that are made from exotic and expensive materials. The craftsmen who work for Hermès are only allowed to work on one handbag at a time and it takes from 18 to 24 hours to create one. 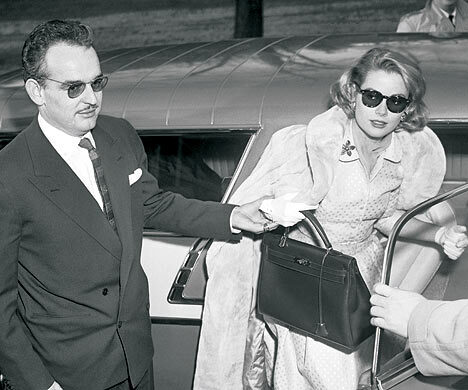 The “Kelly bag” was introduced in the 1930s but wasn’t named that way until 1956 when the actress (and princess) Grace Kelly was first photographed with the handbag. Grace Kelly used her handbag to hide her pregnancy from the media. 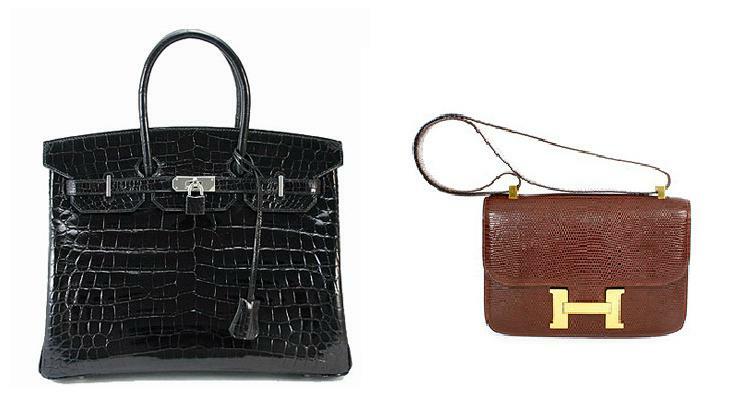 The most popular Hermès bags are the “Kelly” (Of course), the “Constance” bag and the “Birkin” which is the most popular and has waiting lists of up to 6 years. 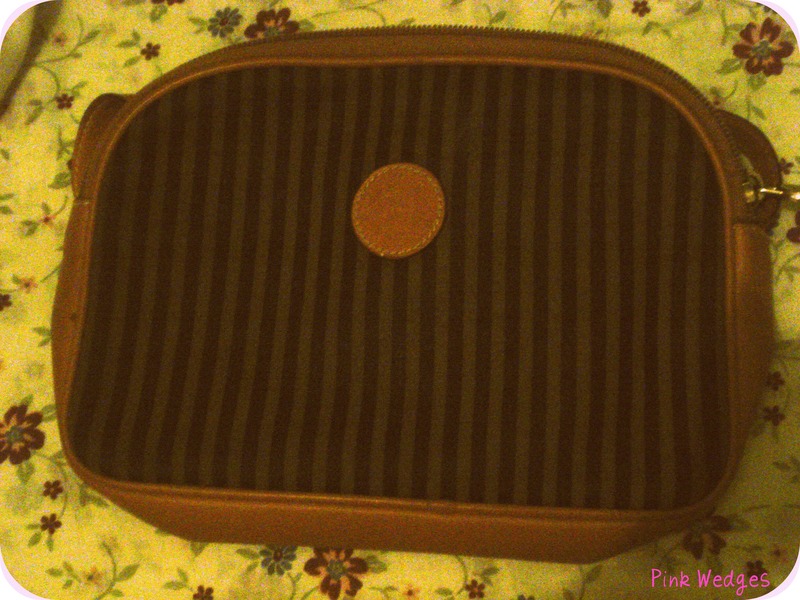 I am soo excited about my new bags and remember that if you like good quality vintage at a great price, Ouna’s Closet is the place you’re looking for. Thanks so much for the support Angela! !